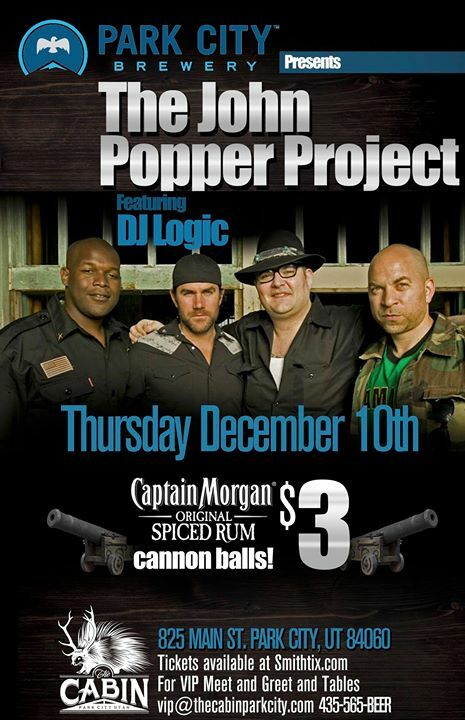 The John Popper Project (formal name The John Popper Project Featuring DJ Logic) is an American fusion music group. The band’s style is a combination of rock, hip hop, and improvisational jazz. The group formed out of a jam session in San Francisco in December 2003 which featured John Popper of Blues Traveler, Rob Wasserman of RatDog, and DJ Logic. The lineup of the Project is John Popper on harmonica and vocals, DJ Logic on turntables, Tad Kinchla on bass guitar, and Marcus Bleecker on drums.